It’s time to make my resolutions for 2013. Some I will ignore. Some I will keep. Some I will forget until I look at the list at the end of the year and am surprised that I made and kept them. 3. Choreograph an entire belly dance routine to a song. I tend to start doing it and then get bored and quit. I really need to get some follow-through here. 4. Sleep more. 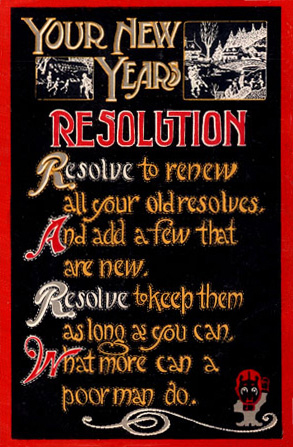 I feel that only good can come from keeping this resolution. 5. Sing louder while making dinner. I prefer the kitchen to myself while I cook. Maybe louder renditions of “I Touch Myself” will persuade the people in my house to vacate the room while I cook.